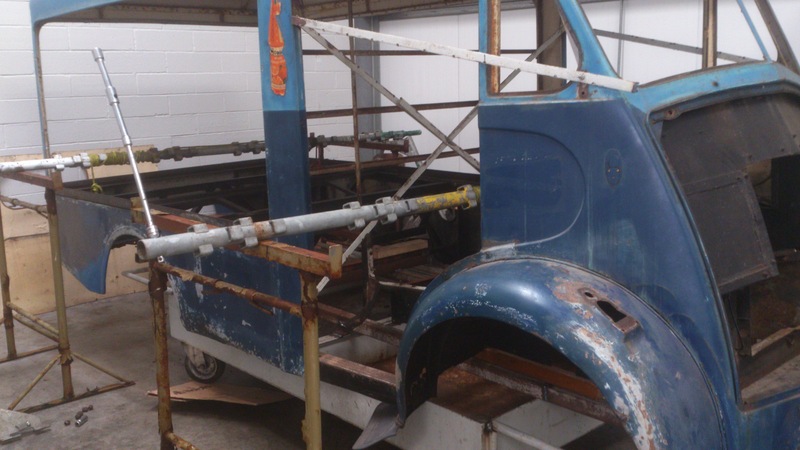 The Milkfloat is currently undergoing a complete and thorough restoration. 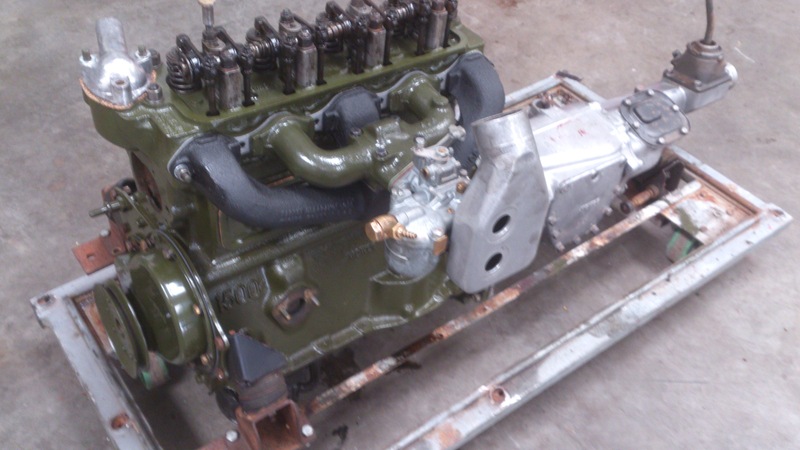 It was fitted with a 1500cc Gold Seal replacement engine which has been removed, rebuilt, painted and refitted to the chassis. 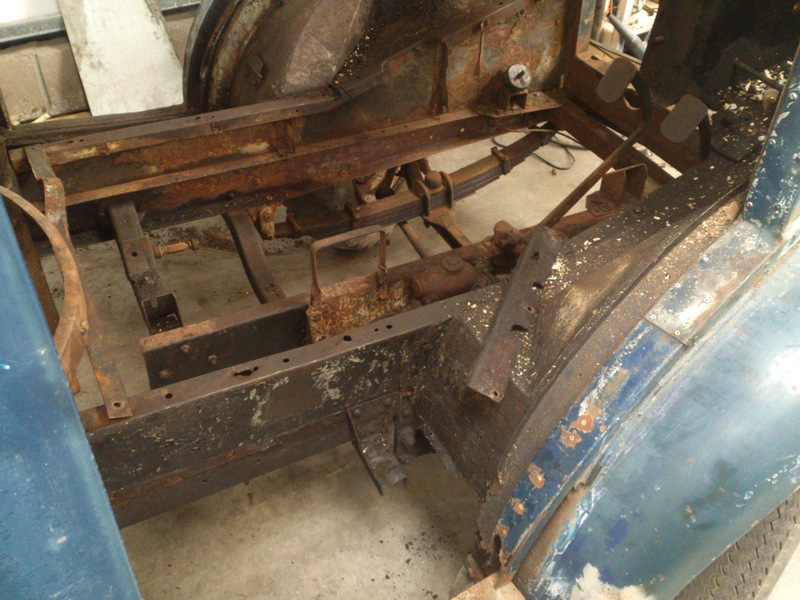 The steering gear and electrics were all removed and the body separated from the chassis. 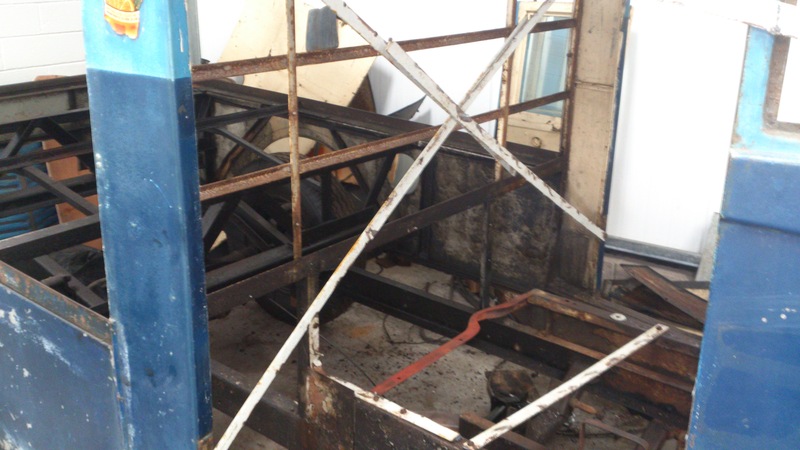 The body is still awaiting restoration but the chassis has been bead blasted, repaired where necessary and powder coated. 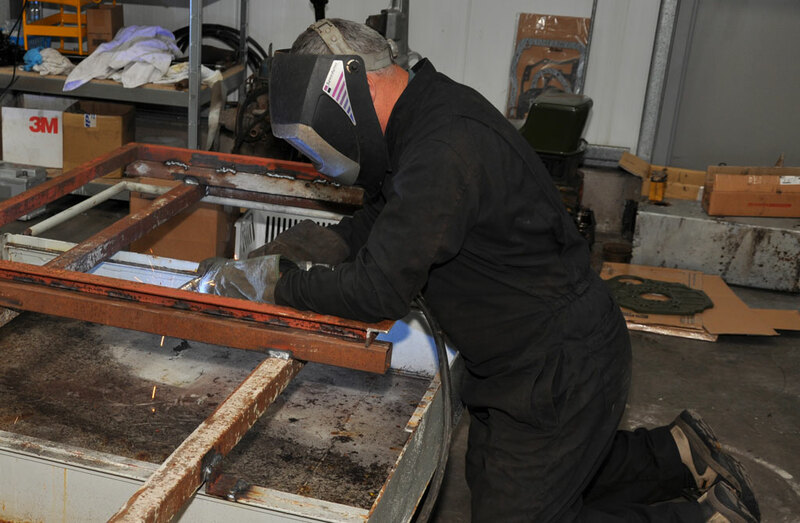 Further details on the rest of the restoration can be found elsewhere on this site. 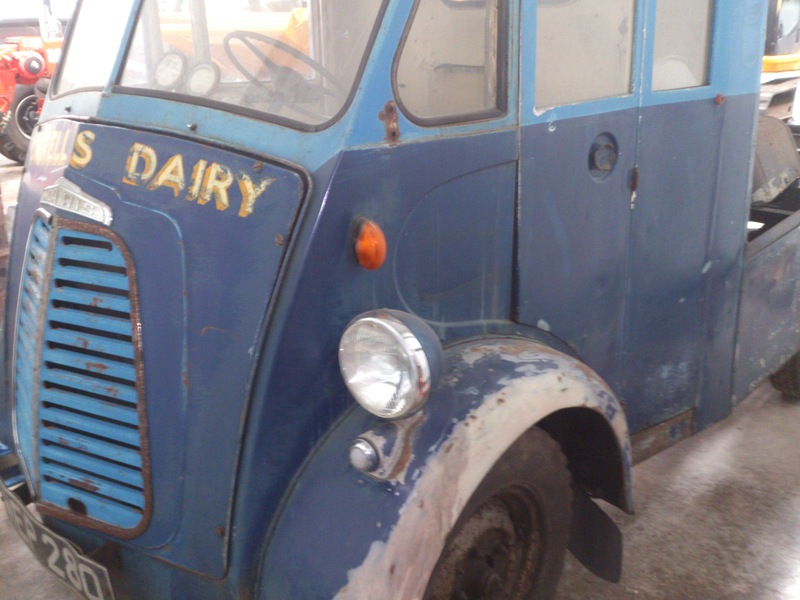 This is how the milk float looked before work commenced. You can clearly see a previous attempt at repairing the front wings. Front view after the windows and doors etc have been removed. Now that the floor has been removed, it is becoming a lot clearer about the level of work that is going to be required. The engine block before cleaning - a pretty poor sight. 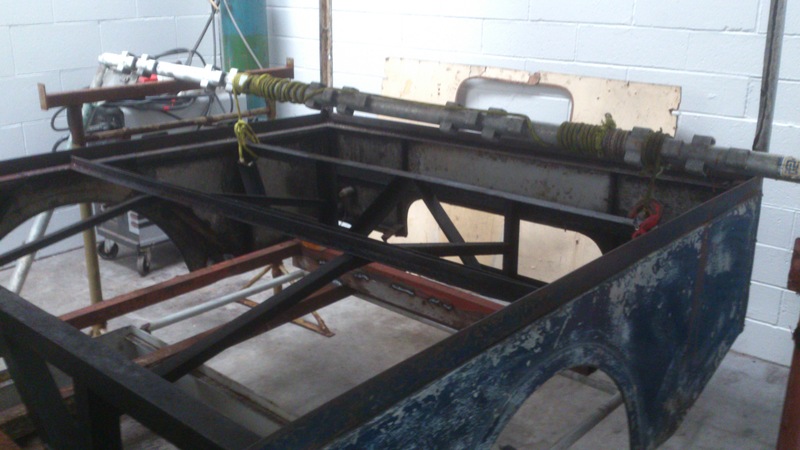 In order to separate the body from the chassis a special trolley was made to size for the body to sit on. 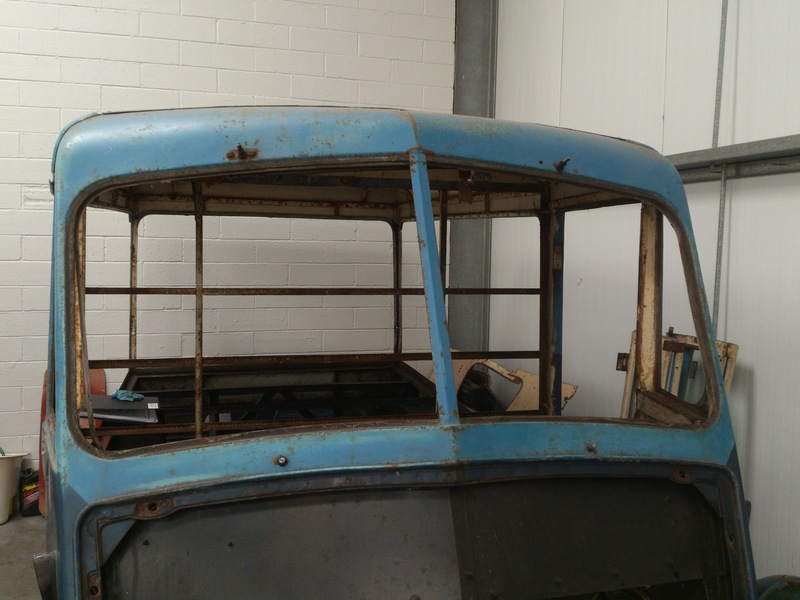 Metal braces were fitted all over the cab area in order to prevent twisting when the body was lifted from the chassis. An ingenious device made from scaffolding poles and ropes was used to lift the body from the chassis - don't try this at home! 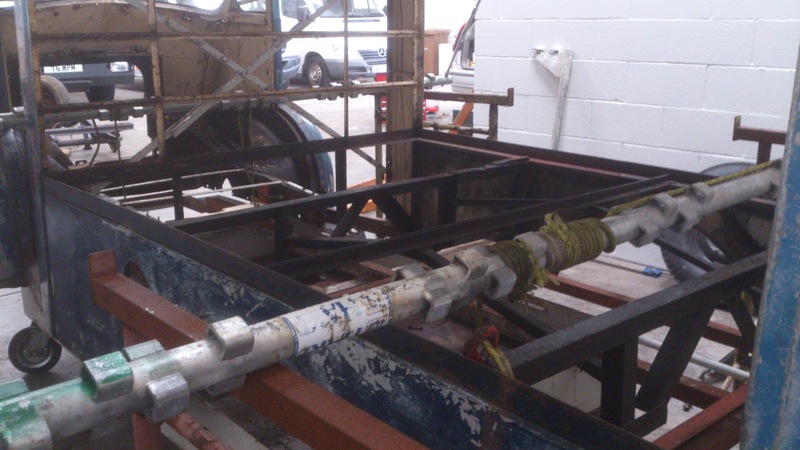 More details of the scaffolding/rope arrangement to lift the body. 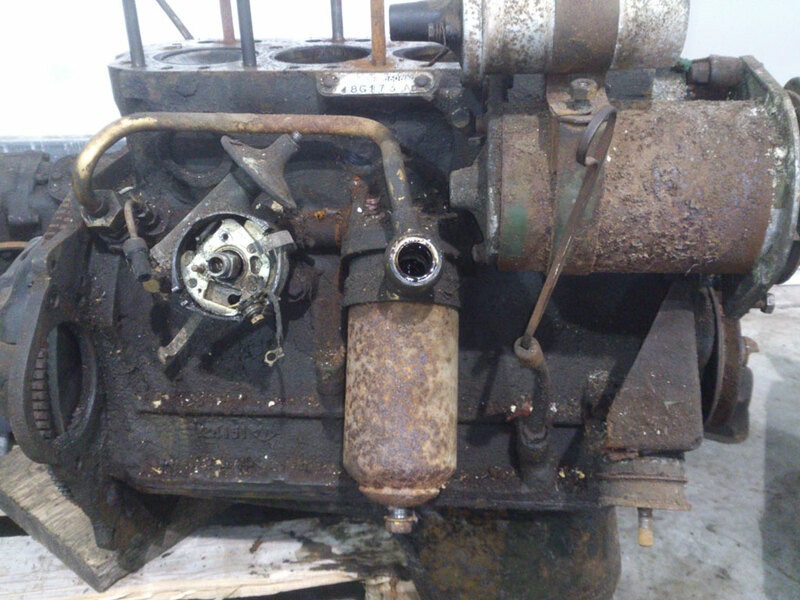 The engine after it has been rebuilt. 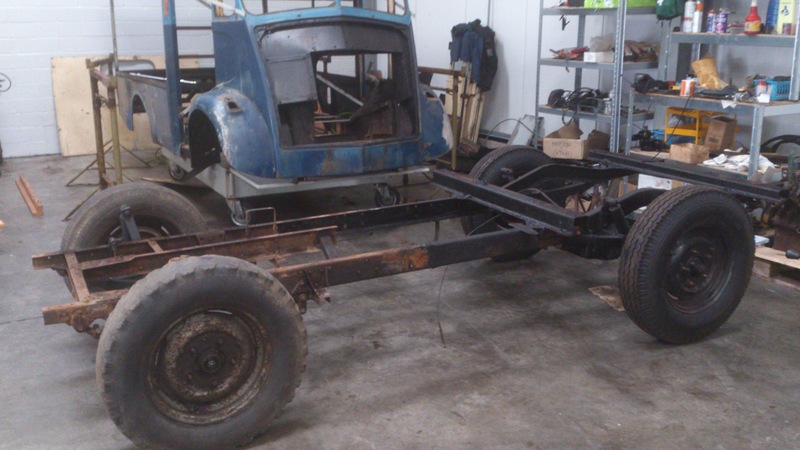 I had to fabricate a trolley so that the engine and gearbox could be worked on without refitting to the chassis at this stage. A really useful purchase was a decent parts cleaner. 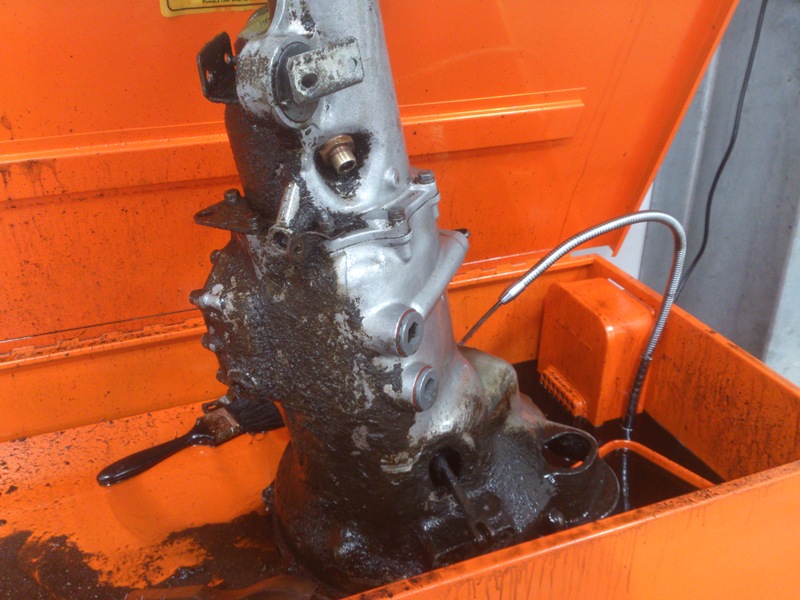 The gearbox for the milkfloat which was absolutely caked in thick grime and grease has now been cleaned and looks great. You can get an idea of the half cleaned gearbox above as to how it looked. 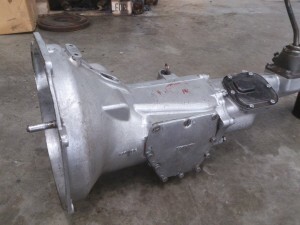 Compare this to the fully cleaned gearbox below.